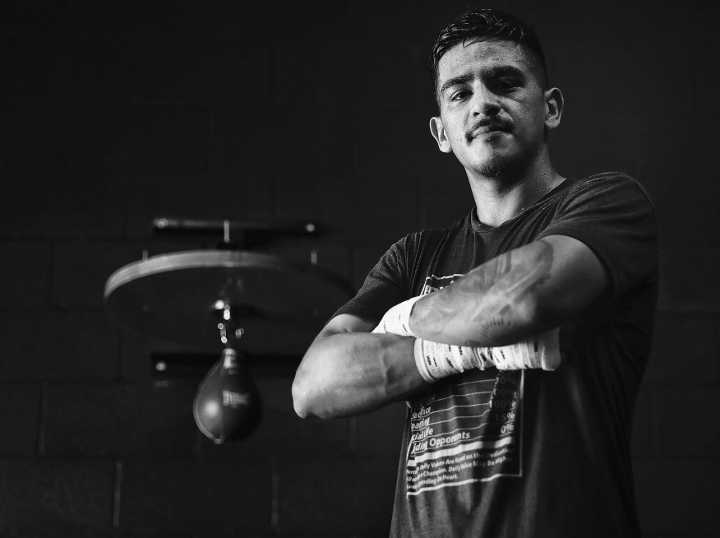 Jessie Magdaleno believes that he will give trouble to any of the best featherweights in the world, and predicts that if everything goes as planned in the coming months, by the end of 2019 he will be competing for his second world championship, after having officially left the super bantamweight division. Magdaleno (25-1, 18 KOs), who has not fought since Isaac Dogboe dethroned him as super bantamweight world champion last April, will face Rico Ramos on Saturday in Costa Mesa, California, on the Top Rank card that ESPN will broadcast. Heavyweight Kubrat Pulev will face Bogdan Dinu, and Maxim Dadashev will clash with Ricky Sismundo in the super lightweight division. "In that fight with Dogboe I killed myself to make the weight, it was seven years already making the 122 pound limit and my body did not answer me, it took something from me to make it, but now at 126 pounds I'm going to show them how dangerous I can be," Magdaleno told ESPN Deportes. "After this fight I want another one, and at the end of the year I want any of the champions, Leo Santa Cruz, Gary Russell, Oscar Valdez, Josh Warrington, they'll see on Saturday how my body changed and how I'm going to look." Magdaleno is managed by Frank Espinoza, who also guides Oscar Valdez's career, one of the champions mentioned by Jessie. "Óscar is my friend, I've known him for many years, if he gives me the opportunity, I'll take it, this is part of boxing, it's a sport and it's a business, and afterwards we can go out for dinner," Jessie said. Currently training with Jorge Capetillo in Las Vegas after having left behind the relationship with Manny Robles, Jessie said excited to return after 11 months of absence. "I'm returning to the ring with great enthusiasm, I have been resting for almost a year and I feel physically and mentally ready to sound the drums on Saturday, I think this has been one of the best camps, we understand well with Jorge and I am ready to fight, I'm 100%," warned Magdaleno. That's because your an undisciplined spoiled Fat ***** ! I've been around this guy in gyms . How do I get to see this card in the UK? Jesse can have a good future at Featherweight. He's still fairly young.